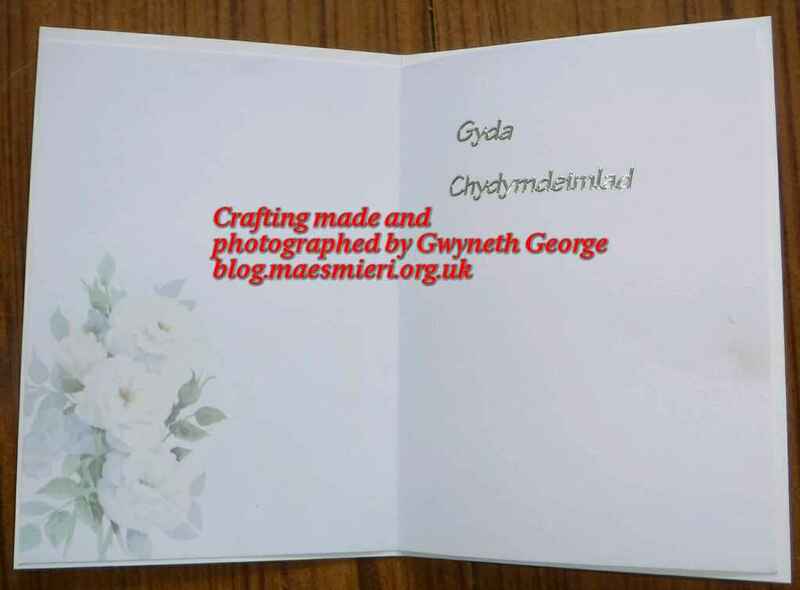 Hi and welcome to my blog. 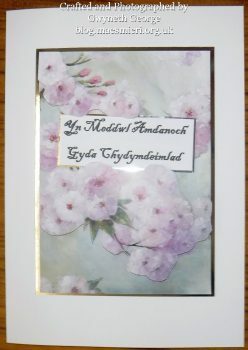 Whether you are a returning visitor or somebody who is here for the first time, I’m glad you’ve popped over for a look. 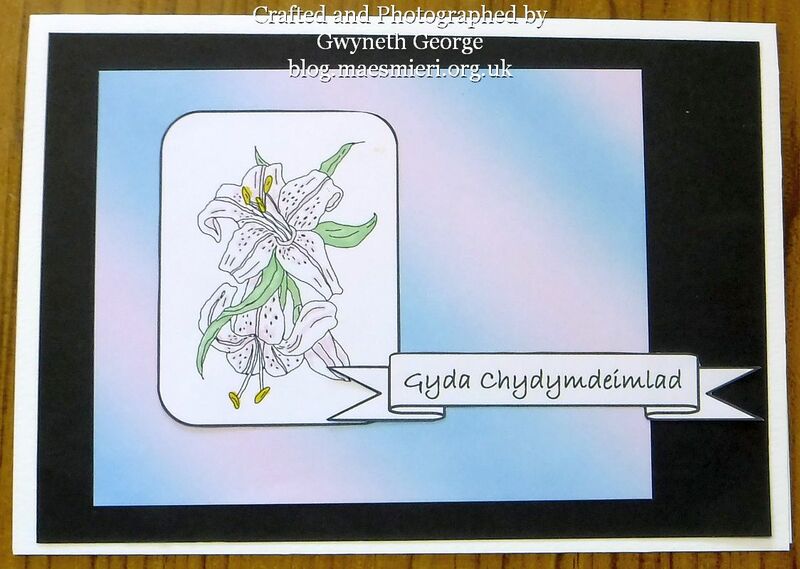 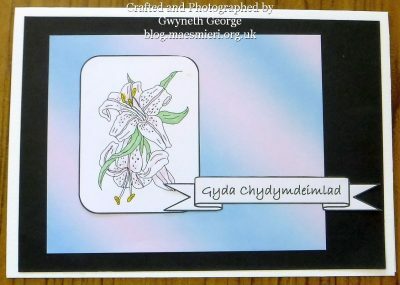 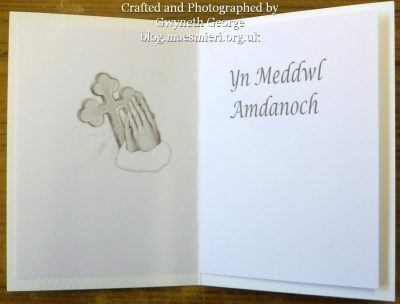 I’ve been asked to make a dozen Welsh Sympathy Cards, as well as Welsh Birthday Cards. 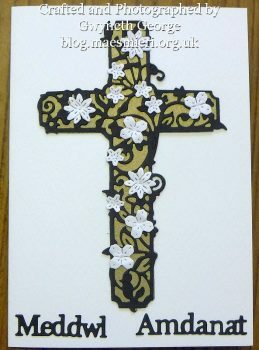 No guidlines on style required for the Sympathy cards, so I’ve gone for a mixture of black and white and coloured, from a religious look with a cross to a simple flower and greeting. 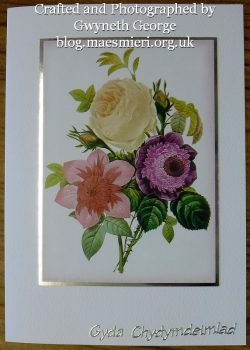 Today I’ve got the first six to show you. 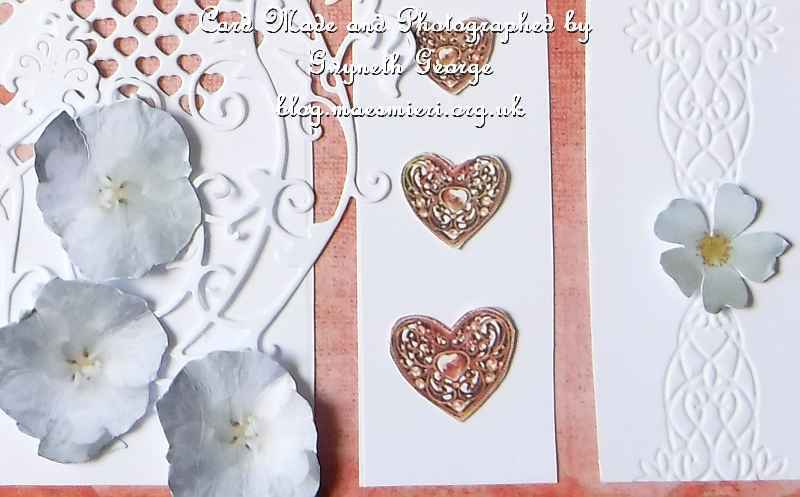 This first card was made simply just using a Tattered Lace “Demure Feather Die“, a Tattered Lace butterfly die, a greeting that I printed, and another Tattered Lace die “Velvet Lace Mini Ruffle Square Die” for the mat. 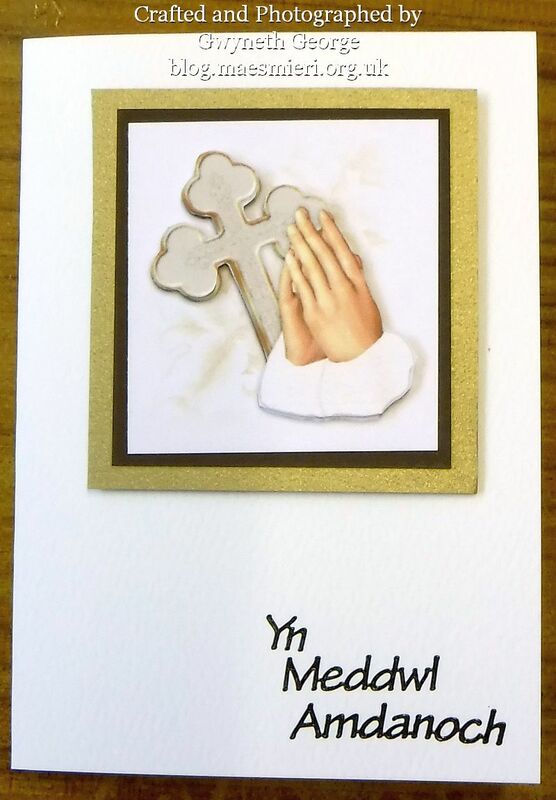 I’m not sure what each of the dies is called though. 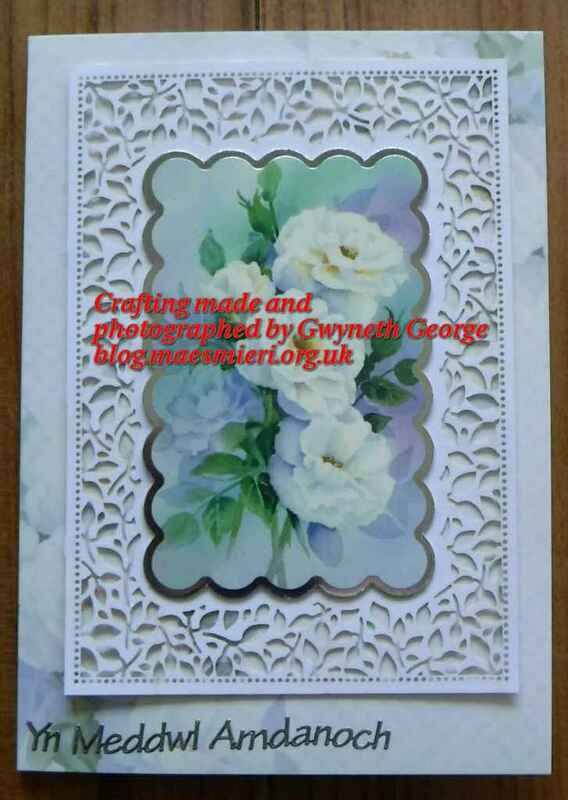 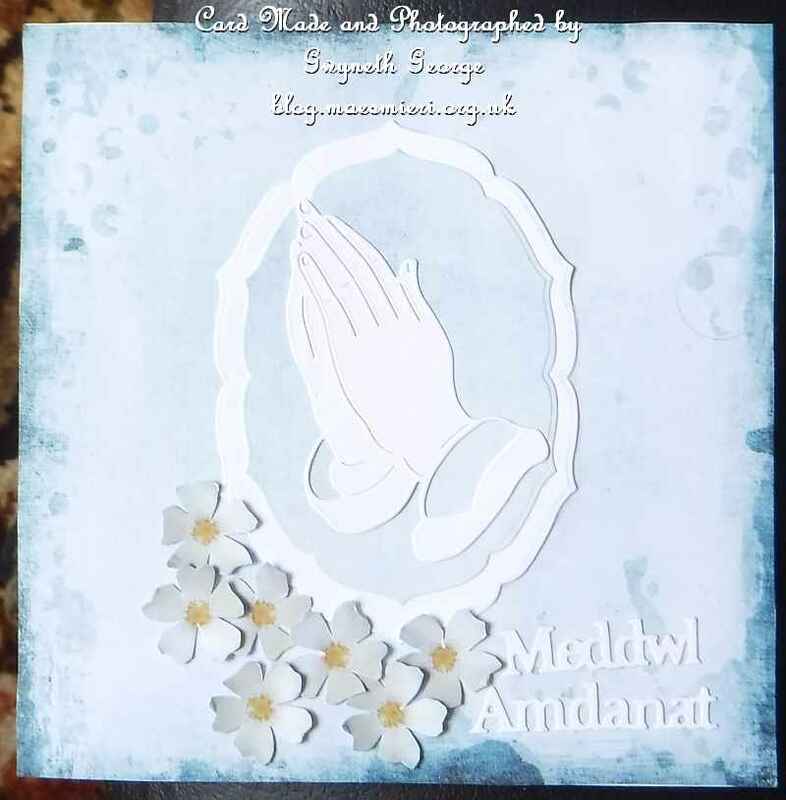 This next card was made using various bits, including the base card with two appertures already die cut, from a card kit I bought via Create and Craft a long time ago. 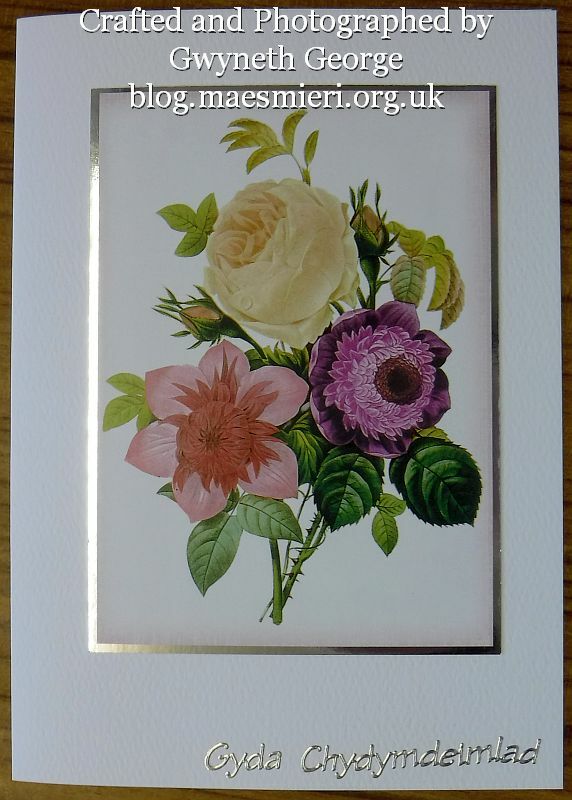 I’ve dug it out and used bits of it for several cards lately but can’t remember the name of the collection or manufacturer. 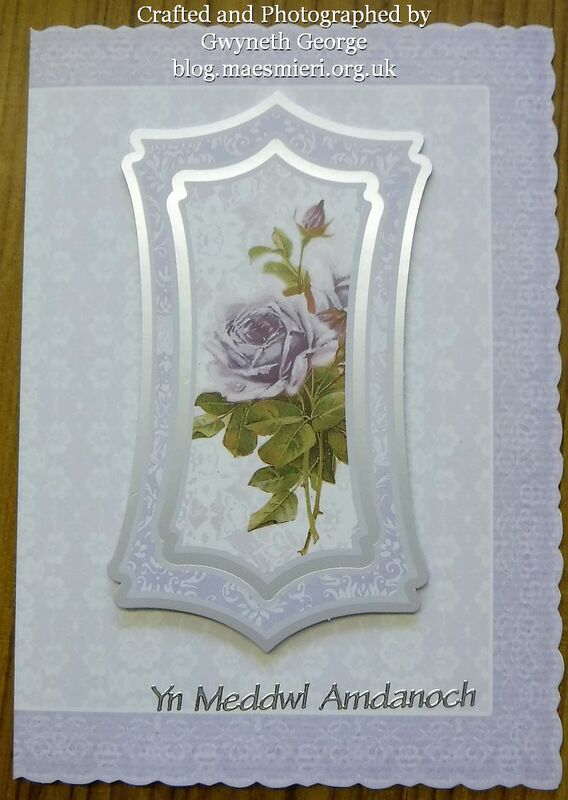 Again I used peeloff greeting both inside and out. I drew a fine, dashed, line zaround the edge of both apertures and the mats that were stuck to the back of the insert. 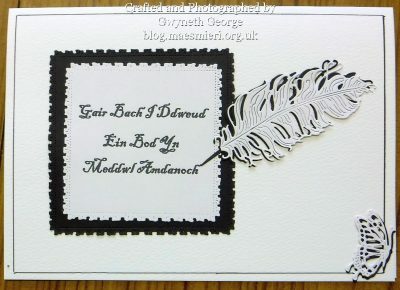 For this card I used a fine liner pen to draw a black line around half a cm in from the outside edge. 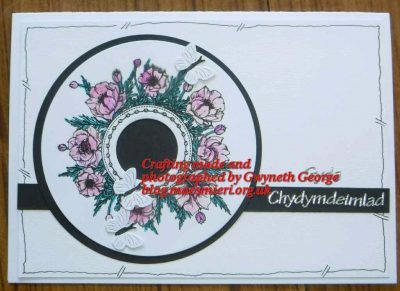 I took a simple floral topper that had an integral frame and matted it onto black cardstock before sticking it on the card front. 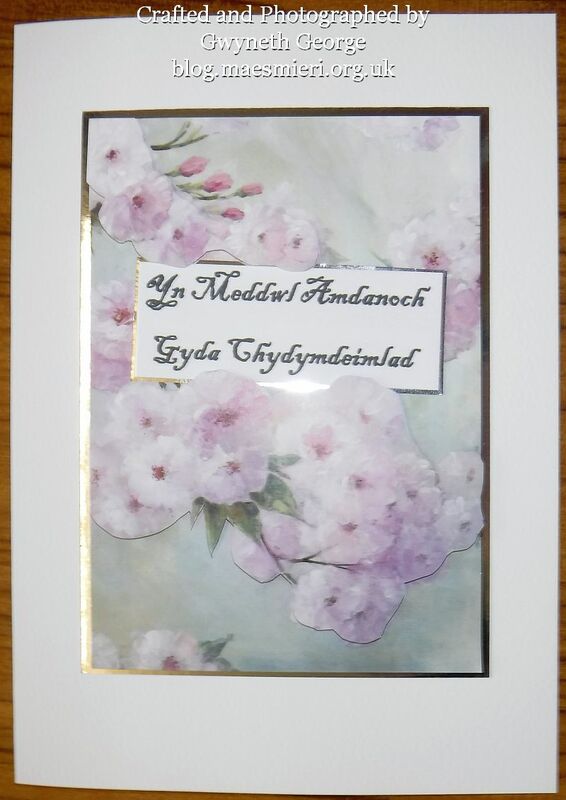 I also matted a greeting I’d printed out onto the same type of cardstock before attaching it to the card. 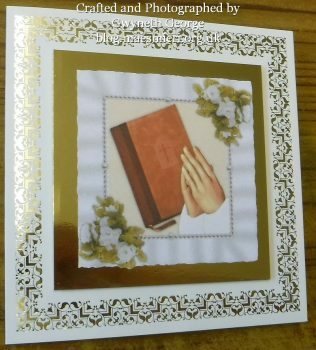 The items to make this card came from the same collection as the double apperture card I showed above, so can’t give you any links for what I used. 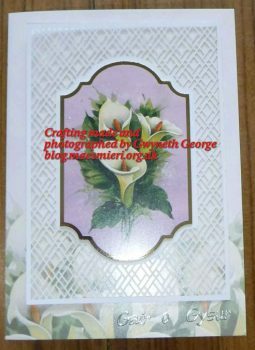 I don’t make many A6 size cards (much easier to simply score and fold an A4 sheet of cardstock in half to make an A5 base card), but I have a box of pre scored card bases in different sizes and decided to make one small, simple, card for this selection. 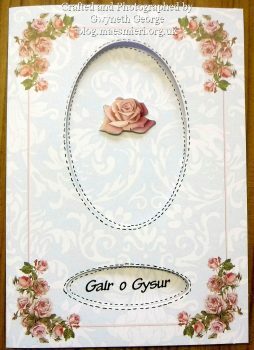 All the components were cut out using different Tattered Lace dies, including the greeting. I think the kini flowers are ones I got lately in a collection with the Magazine subscription, but the others I’ve had for a while and I can’t remember their names. 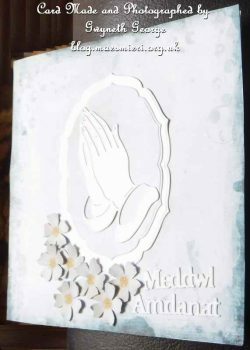 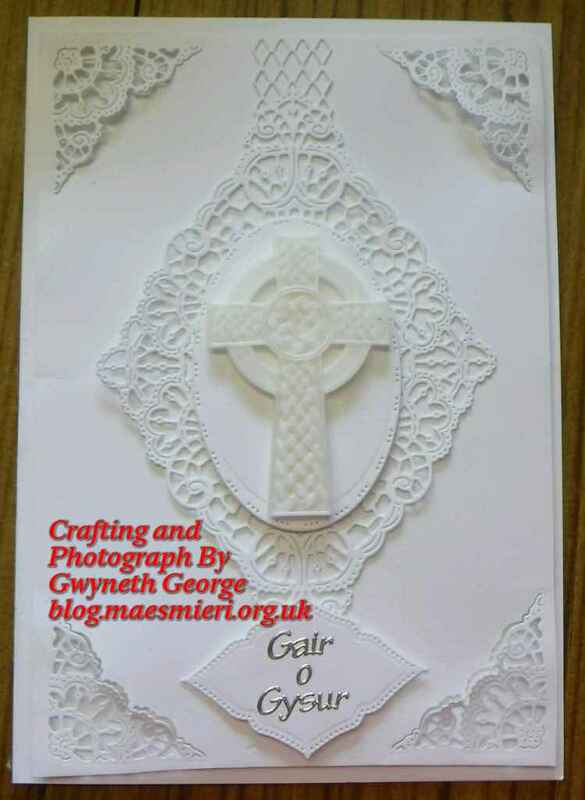 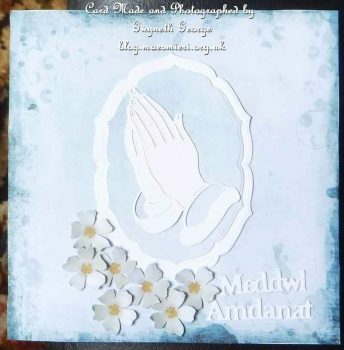 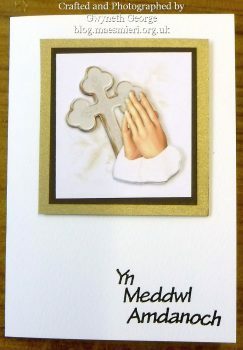 Tattered Lace are the only die company that have made a set of Welsh greeting dies as far as I know. 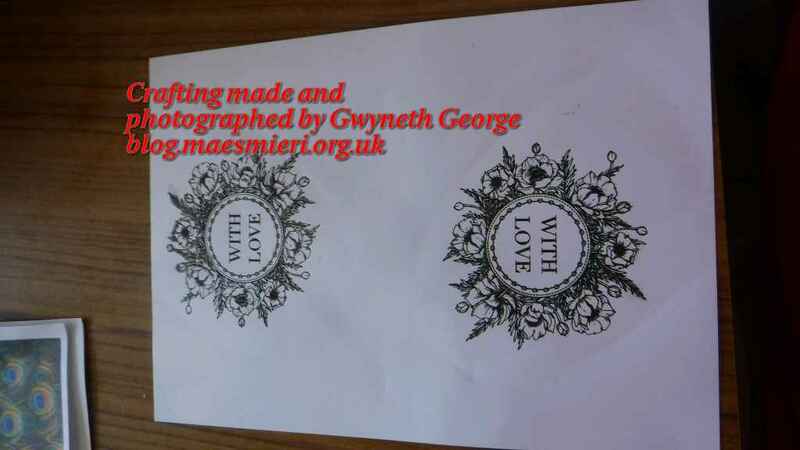 If you know of any others please let me know. 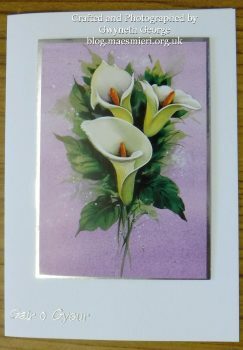 My last card from this batch is a simple one. 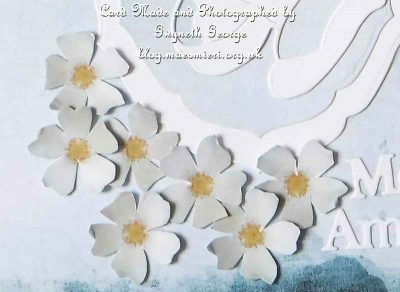 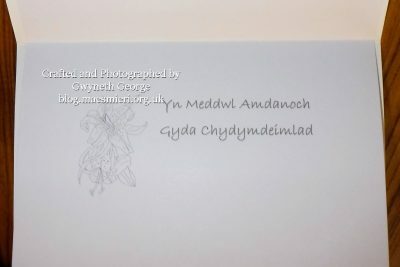 I took an image from one of the Hunkydory floral Little Books. 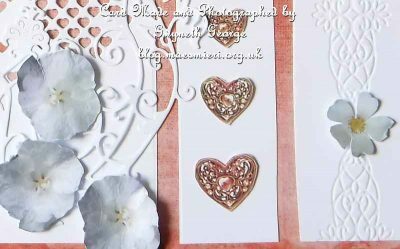 Layered it onto one of the Hunkydory silver cardstock mats that come pre-cut to the right size for the little book images. 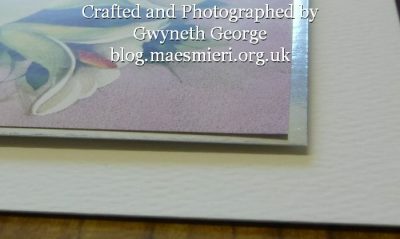 I used Fingerlift Tape to attach the image to the mat and 2mm deep, double sided tape to add the matted image to the A5 card front. I then added a peel-off greeting and an insert. 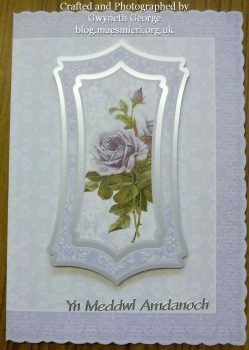 The peeloff is silver and in bottom left corner but it doesn’t show up very well in this image unless you click to see it larger. 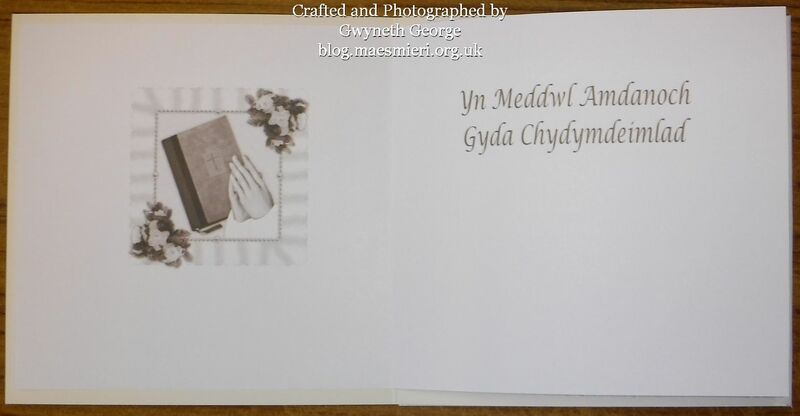 Here’s a closeup showing the slight dimension of the matted topper off the card. 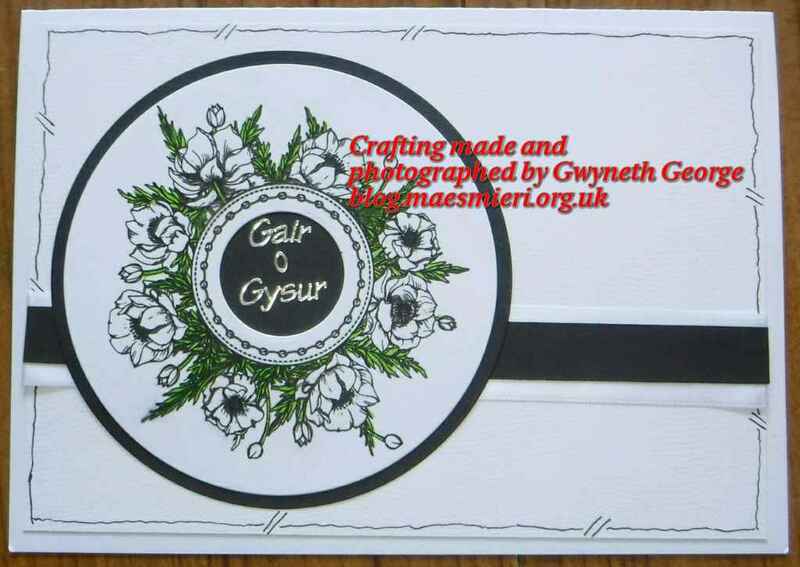 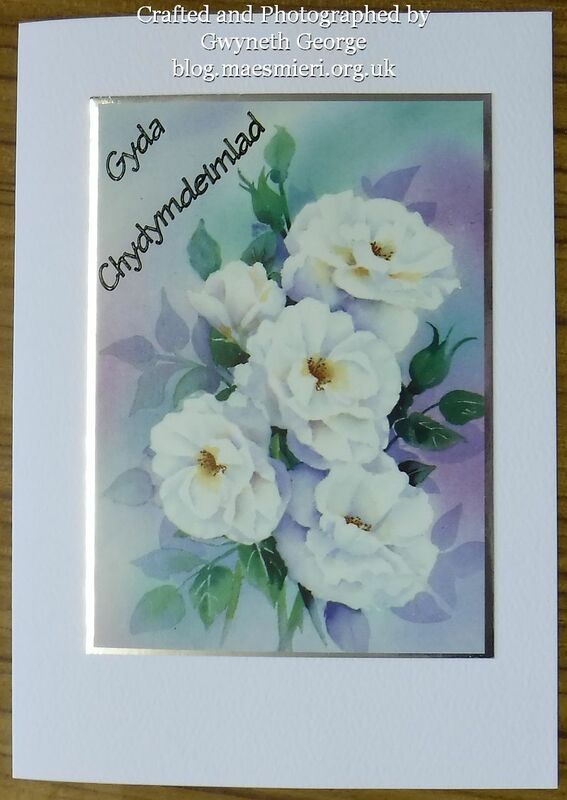 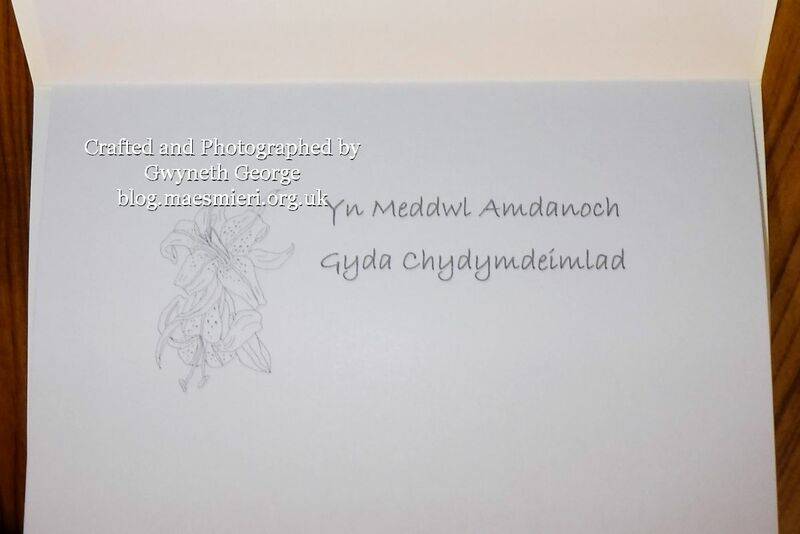 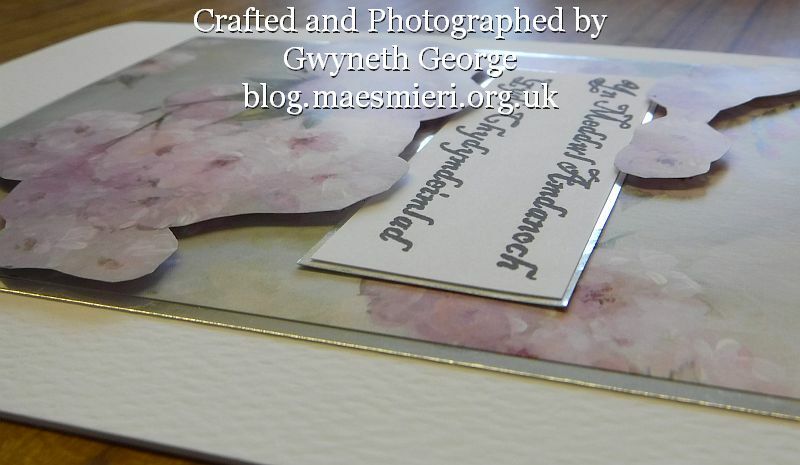 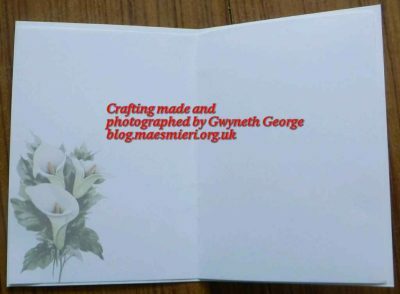 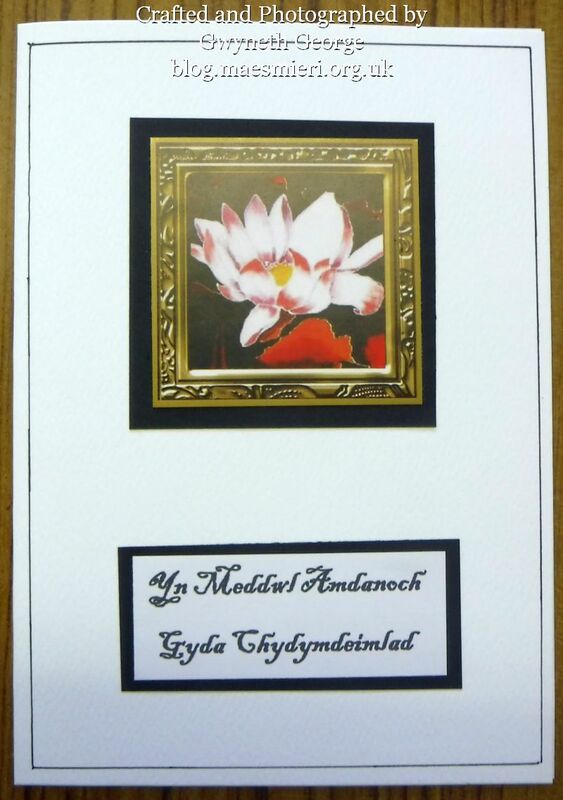 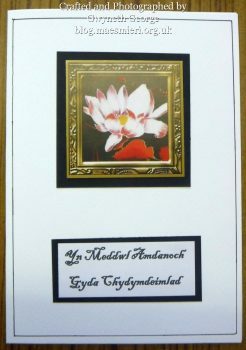 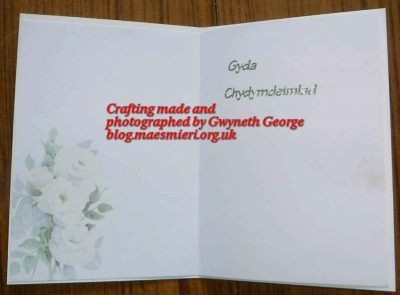 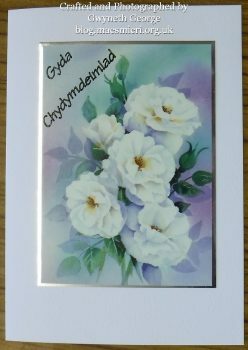 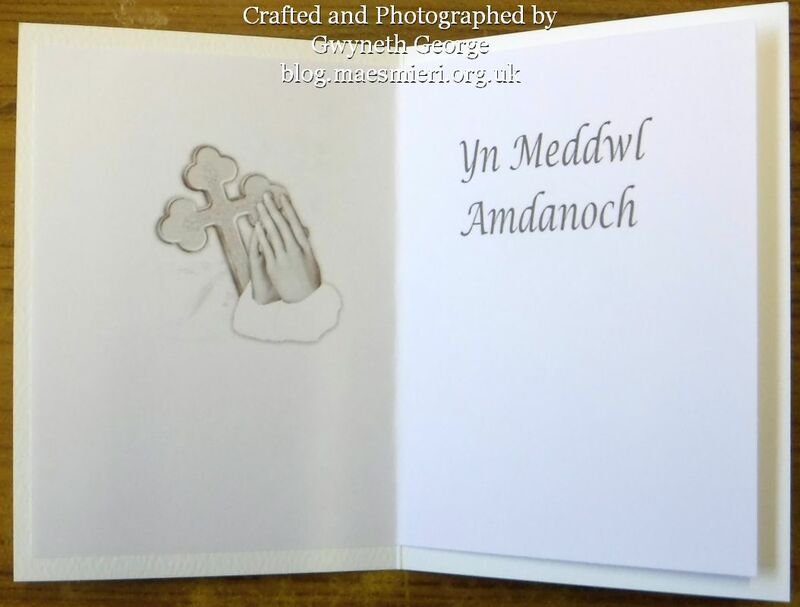 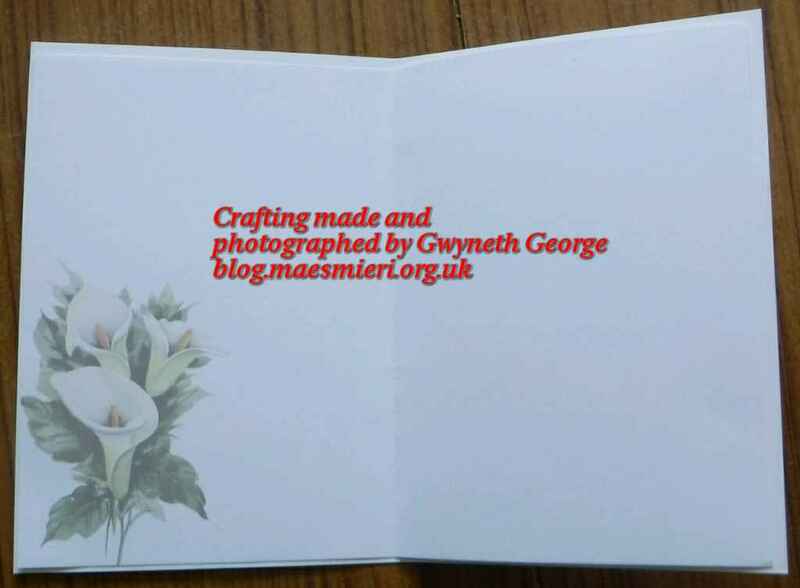 I will be back with the rest of this batch of Welsh Sympathy Cards order in a future post. A couple of days ago I posted the first in a series of posts about 3D printing. 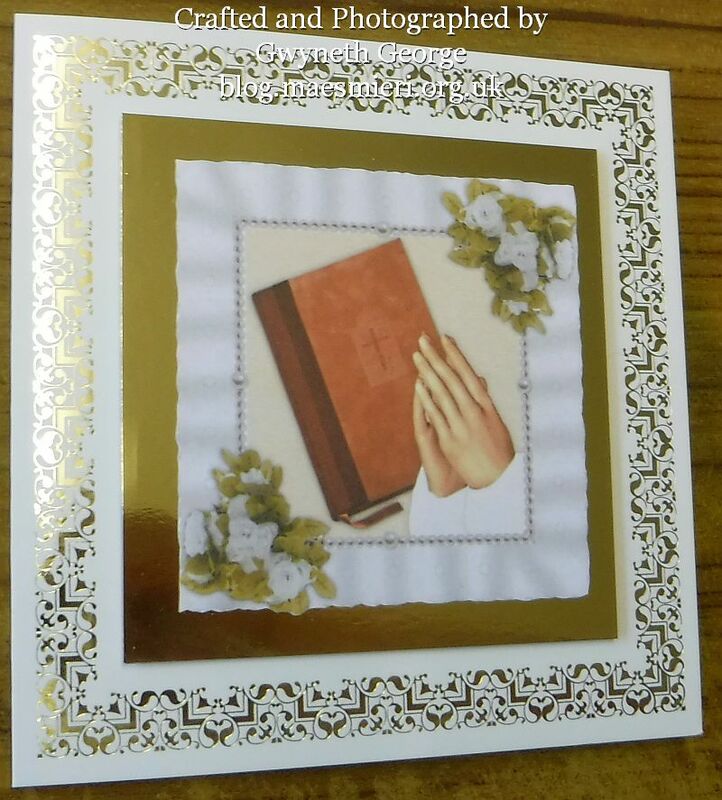 You can see it – here. Today’s post is a bit of very clean “mixed media” LOL – made of cardstock and PLA+ filament. 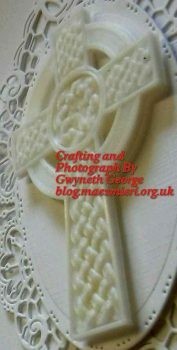 I went online to a site called Thingiverse and downloaded the file for a Celtic Cross by lorenmcconnell. 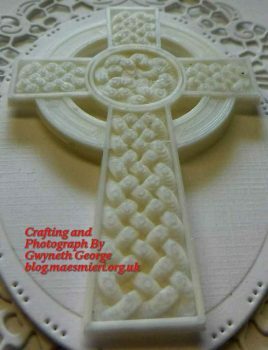 This was then sliced in Ultimaker Cura and printed using nephew’s current 3D printer – a Creality Ender 3 Pro (more on 3D printing and how he got this in a future post) – using white PLA+ filament. 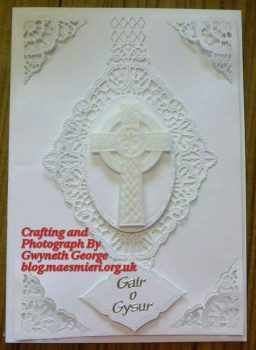 I was very impressed with the detail achieved an such a thin item. 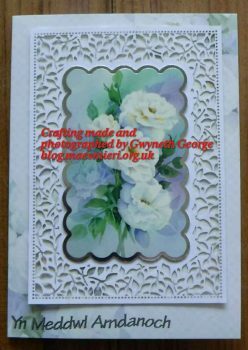 I then used a Tattered Lace corner die to cut into the corners of a sheet of white, linen textured, cardstock that had been cut to slightly less than A5 in size. I also cut some layers using other Tattered Lace dies – Tattered Lace Strung Lace Diamond Die and an oval die. 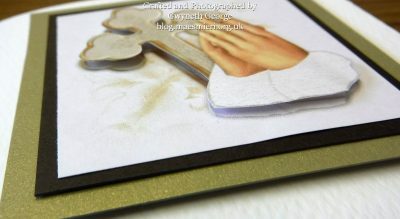 All out of the linen textured cardstock. 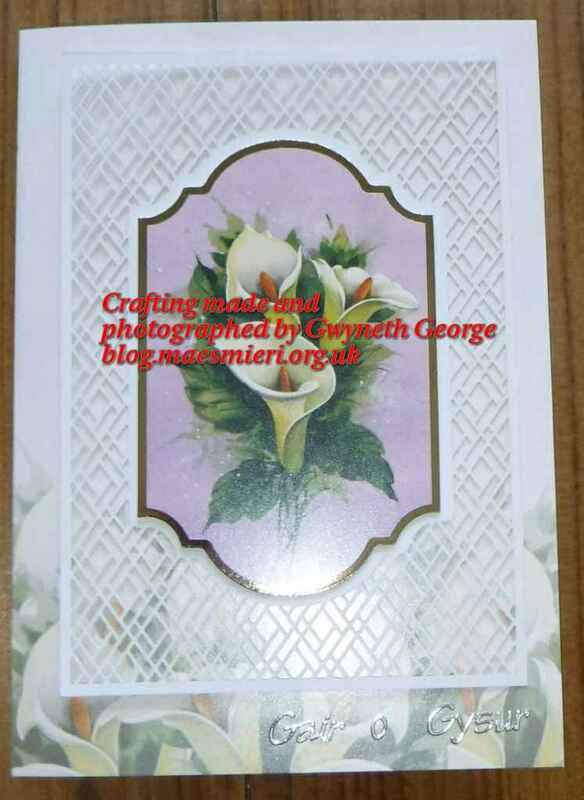 I even made the base card from the same cardstock. I used some foam tape to attach some of the layers and wet clue to attach others. 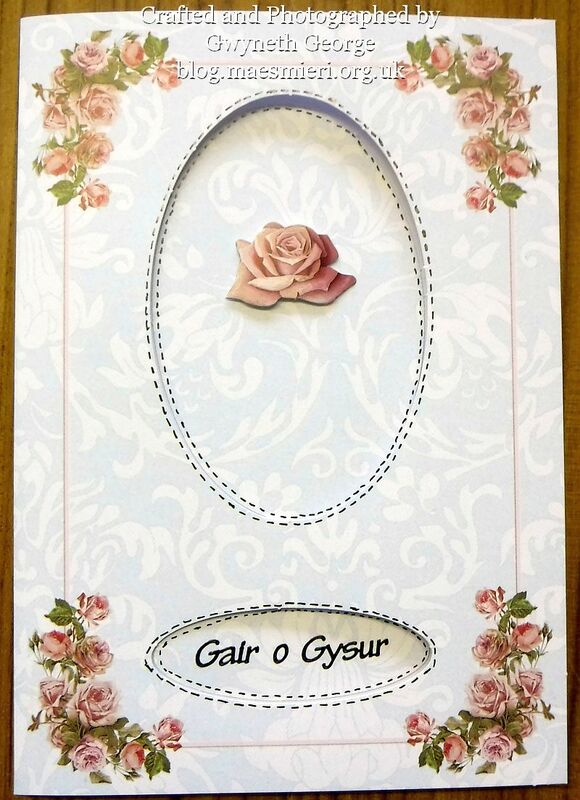 I finished off by adding a peel off greeting “Gair o Gysur”. 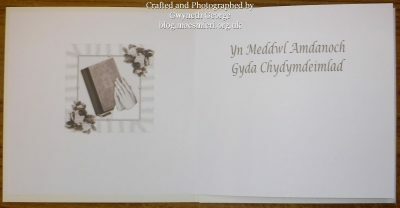 This is what my card looked like after it was finished. 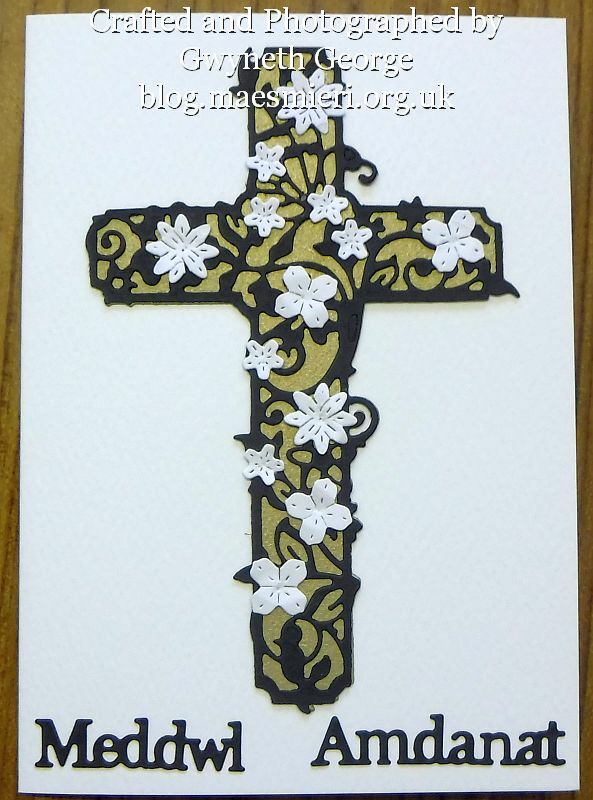 My nephew and I have more posts planned on his ventures into 3D printing, including the construction of the 3D printer used for the cross element on this card, so please keep an eye out for those.